Anyone moving into a flat or an apartment will be keen for there to be an adequate form of protection, especially if it is in a big block, which is more vulnerable to crime. And the best method of providing that protection has been proved to be CCTV cameras. Very often the fact that a camera is there will be enough to deter potential thieves or vandals. They will simply move on to a property which has little or no protection. If the worst comes to the worst and a flat owner is robbed, then footage from the CCTV camera will enable the culprit to be identified and apprehended. 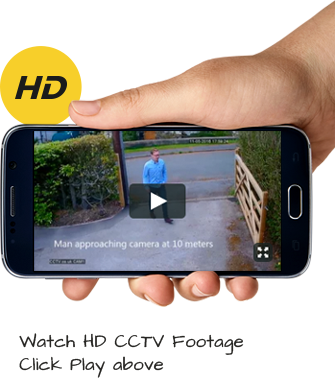 CCTV is also helpful in monitoring any groups of people who are behaving in a suspicious manner or seem likely to cause trouble in the vicinity of the flats. It has also been known for the monitoring of a CCTV camera to become the difference between life and death when people have collapsed and only the swift intervention of those watching the on-screen images has saved them. This is a true example of health and safety. There is, therefore, a sense of reassurance when CCTV cameras are around in that kind of environment, but one has to be careful to make the right kind of balance between genuine security factors and any suspicion of an invasion of privacy. If you are considering CCTV cameras for your flat or apartment – call us first! Free quote line 0800 211 8310. CCTV (closed circuit television) is a very useful and effective security tool that can be fitted around flats and apartments. Theft of and from motor vehicles is on the rise, and because the car park that serves your flats or apartment block is remote from the accommodation itself, residents and visitors’ vehicles may be vulnerable. In the event of a crime, police will have access to the CCTV images, enabling them to identify and catch offenders. In poorly lit areas, residents will feel safer and less vulnerable to criminals if they know that the car parking area is protected by CCTV cameras. Some very large apartment complexes are accessed via stairwells, which can be disconcerting when negotiated at night. CCTV cameras can help to reassure residents that someone is watching over them at all times as they enter and exit the building and will also serve as a good deterrent to undesirables who may be considering committing a crime. It’s also a good idea to fit CCTV cameras in lifts, partly for security reasons, and also to deter vandals. In addition, in the event of an emergency, such as a fire, CCTV can be checked remotely to make sure that no-one is trapped in the lifts. CCTV cameras fitted above communal entrance doors can allow residents of the flats or apartments to see who is calling. This can be extremely reassuring to the elderly or to females who live alone; CCTV allows them to view the caller before opening the door to allow them access to the building. In some areas, vandalism and anti-social behaviour can be a problem. CCTV cameras can act as a useful deterrent here, as criminals are well aware that good-quality CCTV images of them committing an offence are all that’s required by the police to make an arrest.